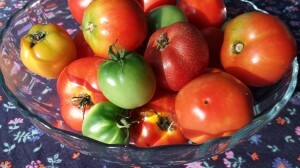 This year was the first in many that I grew tomato plants in my garden. Well, I bought some plants at my local garden center after procrastinating for over a month. 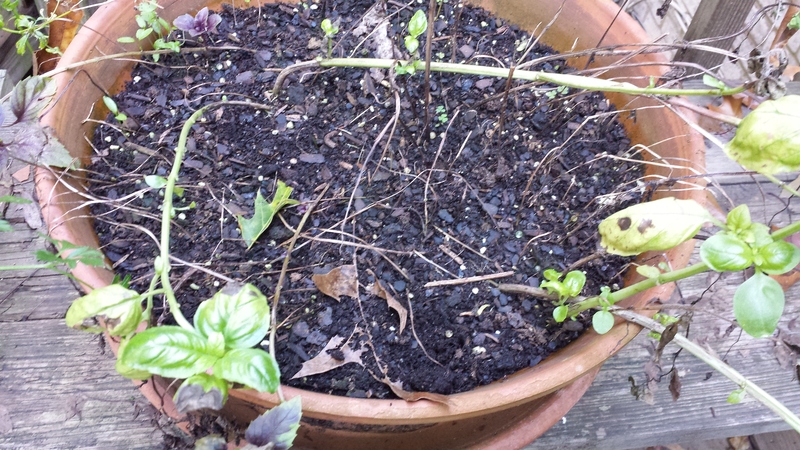 My past hasn’t provided me with good tomato seedlings…so if someone else can get me started, that’s preferable. 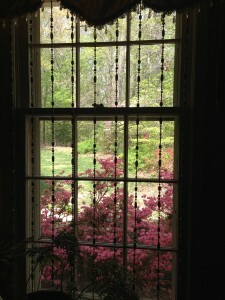 As I’ve mentioned, we live in a wooded property with sunshine all day only in the front of the house. That’s also the “deer central” part of the landscaping — I’m not about to feed Bambi anything else out of my garden! My mostly shady backyard deck gets several hours of sunshine from April through the first part of August. 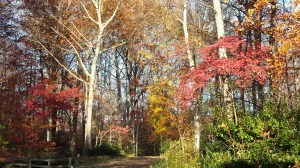 Then, the sun hides back behind the trees to the south, and it’s just dappled sunlight. 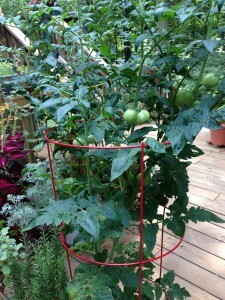 Believe it or not, I was able to grow tomato plants on my deck without full sun all day. 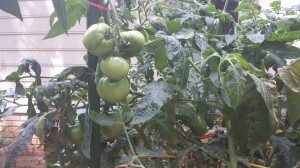 Three tomato plants have so far yielded well over 60 tomatoes since they started fruiting in July. 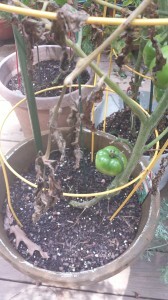 My tomato issues this year were splitting due to uneven watering (mostly my fault, but partly Mother Nature’s due to fluctuating rainfall), not enough tomato plant food, a mildew that affected some of the bottom leaves, and some tomato fruit piercings by brown marmorated stink bugs resulting in dry fruits. 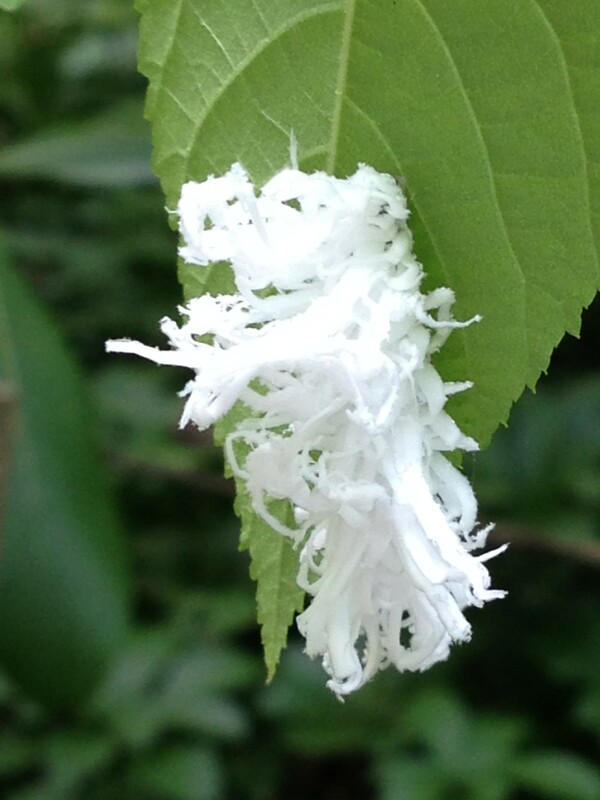 I’ve removed the brown leaves and discarded them. 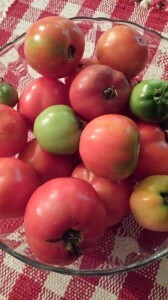 And even though I had some growing issues, I harvested some good-looking tomatoes! What to do with my tomatoes? Read on! Although some of my tomatoes were a bit dry inside due to the brown marmorated stink bugs, they made great roasted tomatoes. 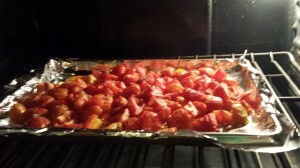 A sister site, A Food Lover’s Delight, features a simple recipe for rustic Roasted Tomatoes. 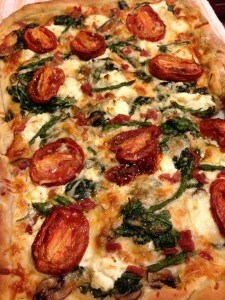 Use the roasted tomatoes in sauces and on my Roasted Tomato and Asparagus Pizza. 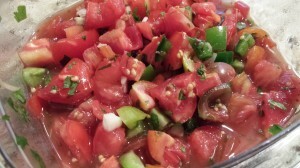 Chop up some tomatoes, bell peppers, onions, and garlic and make a garden salsa! Sprinkle in some lime juice and season with salt and pepper. Serve with tortilla chips or veggies for dipping! 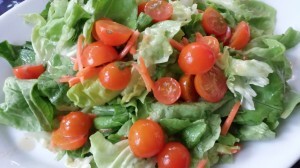 And just a basic salad recipe combines cherry tomatoes from the garden with a nice butter lettuce. Toss with a Dijon vinaigrette and serve with crusty bread. 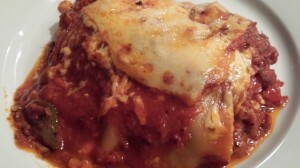 Lasagna is a great way to use roasted tomatoes as well as many other vegetables from your garden’s harvest. Squashes, peppers, and even pumpkin work well in a lasagna. Remember to season with fresh herbs such as basil and oregano from your herb garden. 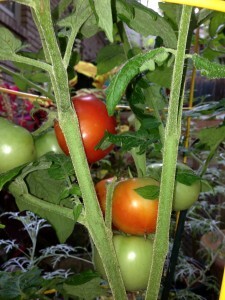 Did you grow tomatoes this year in your own garden? How did YOUR tomatoes fare?